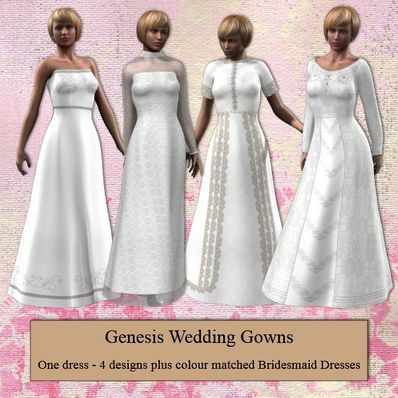 A Bridal Dress for Genesis for use in Daz Studio 4. Several textures for the Bridal Dress with colour variations for matching bridesmaids Dresses. Will work with most poses and shapes. Thank you so much for offering these beautiful items for free! You're awesome!